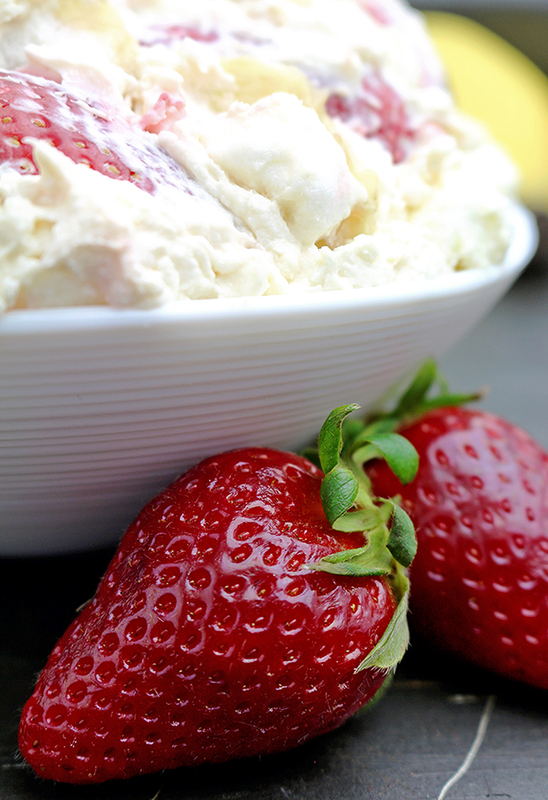 So simple: 7 ingredients + 10 minutes of your time = Easy Strawberry Banana Fluff Salad. 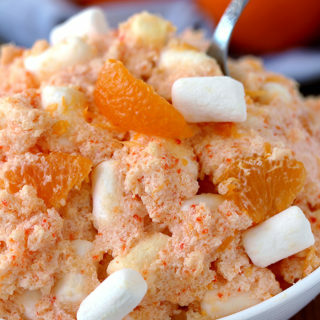 This light, refreshing salad is great idea if you are expecting guests and you are short of time. 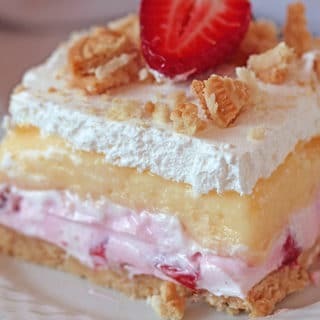 I often prepare it during strawberry season ? 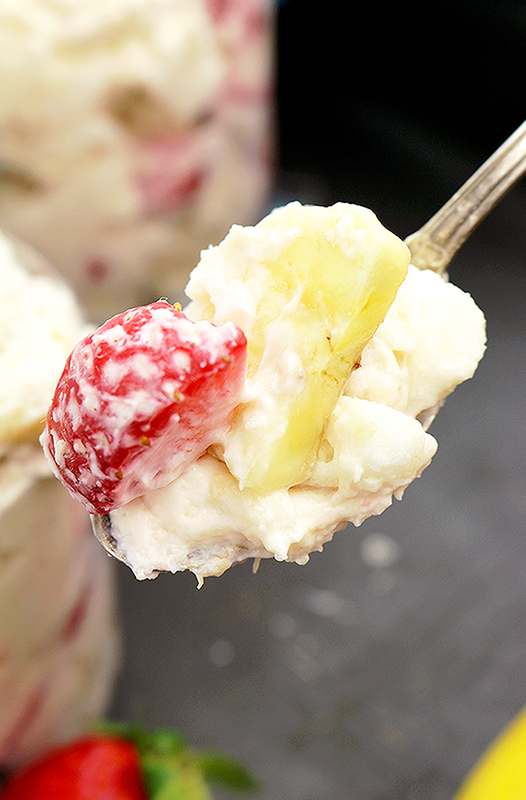 As you already know, I like quick and easy recipes and Easy Strawberry Banana Fluff Salad is surely one of them. Besides strawberries and bananas, you will need some Greek Yogurt, cool whip , vanilla instant pudding, miniature marshmallows. 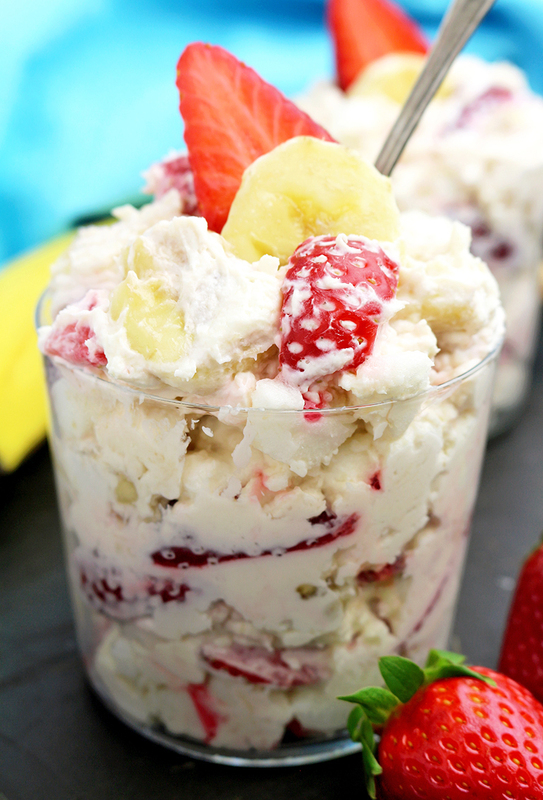 What do you need to make this Strawberry Banana Fluff Salad? 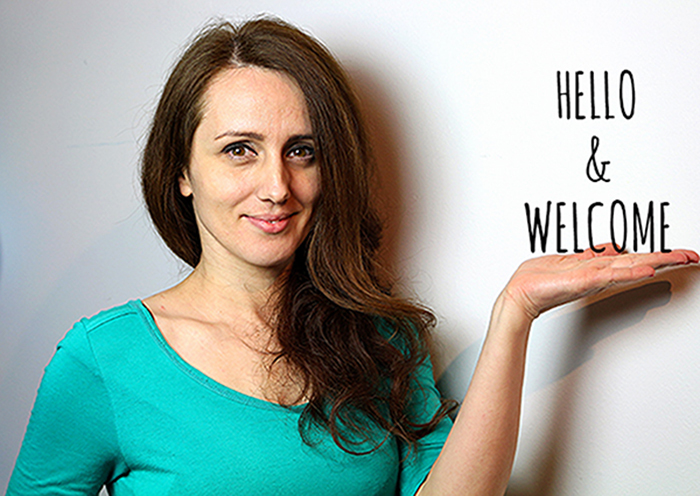 As you, probably know, I don‘t like desserts that are too sweet, but you can always add some extra sugar. Check out our blog for other strawberry salad recipes – Strawberry Spinach Almond Salad and Strawberry Pineapple Fluff Salad. 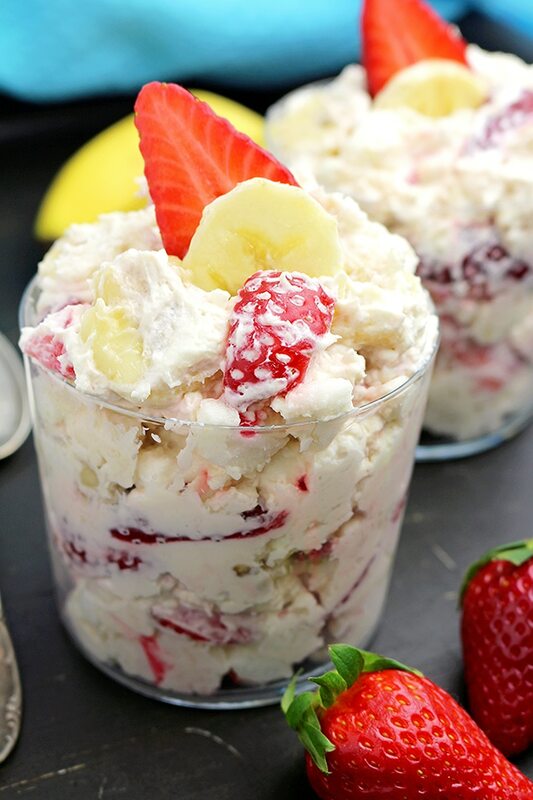 How to make Strawberry Banana Fluff Salad? In a large bowl mix Greek yogurt, instant vanilla pudding powder and powdered sugar until creamy. Fold in the cool whip. Leave it in the fridge until serving. Before serving,stir in marshmallow, sliced strawberries and bananas. Use fresh fruit, whipping cream or strawberry syrup to decorate it. Kids love this salad. My son loved it after seeing me putting marshmallow in it. 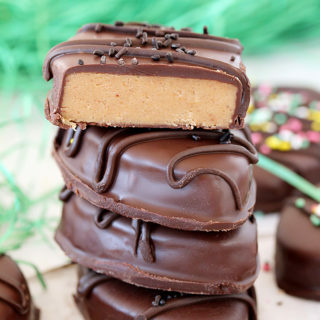 If you like the taste of marshmallow, instead of miniature, big mini marshmallow can be used. You can play with ingredients and make your own winning combination. 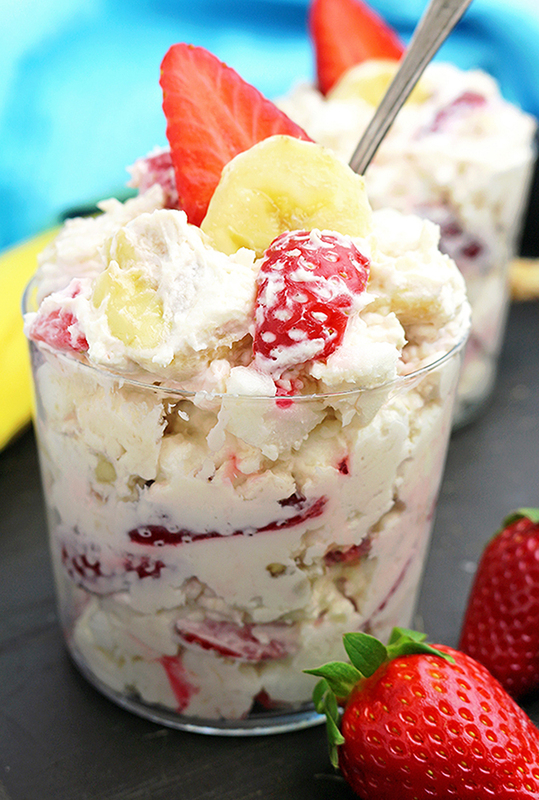 This refreshing, creamy salad made of fresh strawberries and bananas is something you should definitely try..